I was given this product in order to conduct my review. All opinions are 100% my own. I just got a chance to test the new Etekcity® Roverbeats T12 Portable NFC Wireless Rechargeable Bluetooth Speaker . Wow! I can’t believe the amazing sound that comes from a little device that is small enough to fit in my hand. I used it as a big speaker for my iPhone. I turned that bad boy up and cleaned my whole house while listening to my favorite tunes. The speaker is rechargeable with a battery life of 12 hours. I accidently left it on overnight and it gives off a slight beeping sound to let you know it’s low on battery. I’m highly impressed with the battery life. I don’t think I’ve ever owned a portable speaker that lasts this long with amazing sound too. This portable speaker is loud enough for small backyard parties or anything outdoors. Which is awesome considering they are between the $30 to $40 range. 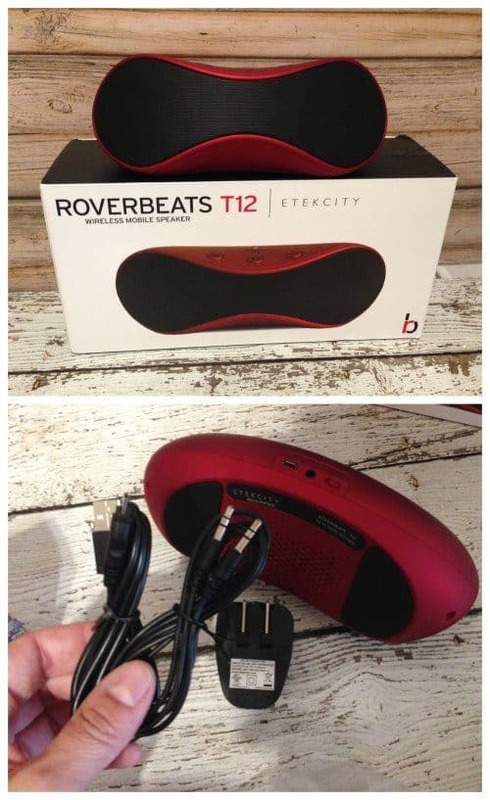 I found this RoverBeats T12 on Amazon for only $34.99 which is definitely a bargain. Grab your RoverBeats T12 Rechargeable Bluetooth Speaker here on Amazon. By Jennifer on July 1, 2014 Deals.